Item description: General Orders, No. 1, from Head Quarters of the Bridge Guards, Wilmington, N.C. Item citation: From folder 2 of the T. L. Clingman Papers, #157, Southern Historical Collection, The Wilson Library, University of North Carolina at Chapel Hill. I. Each Sentinel is to have cartridges in his cartridge box but not to load his musket unless an emergency arises. VIII. Sentinels immediately after the passage of a train will examine the interior of the bridge thoroughly, the roof, the floor timbers, the braces, ceilings &c to see that no sparks are left by the engine and for this purpose they will pass rapidly through the bridge several times examining it carefully and should they discover fire make an immediate alarm. X. 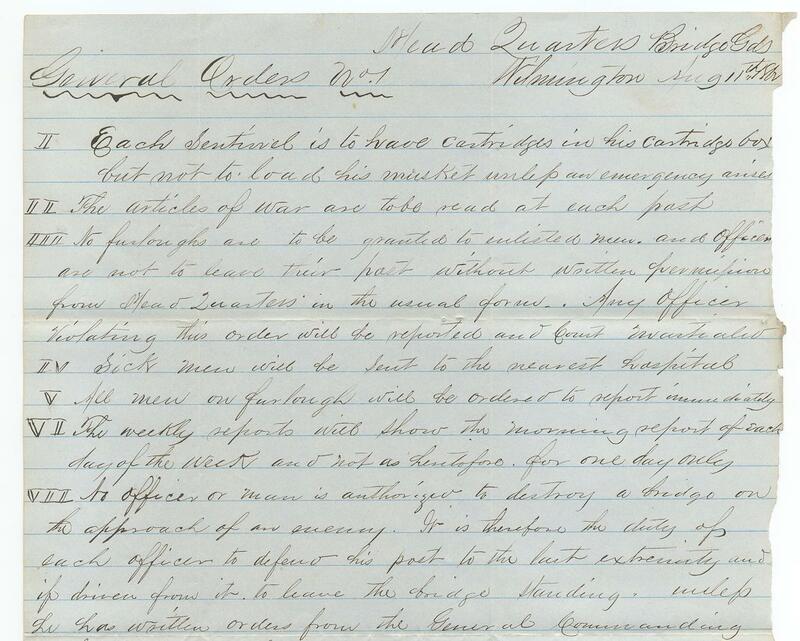 The army camp regulations will be carefully observed at each post regular roll calls and drills had, and each officer will make his part as secure from attack as the position will allow fortifying his camp if necessary. 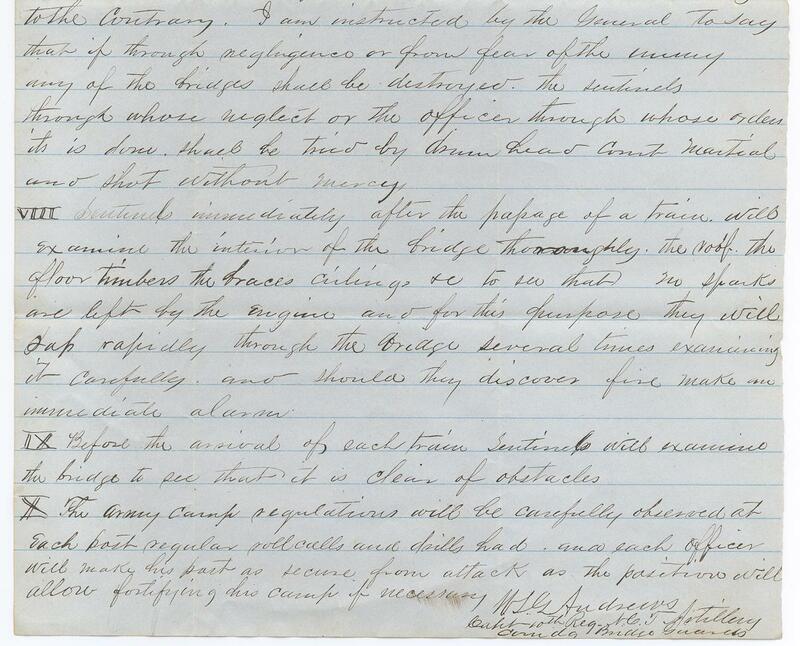 This entry was posted in Southern Historical Collection and tagged bridge guards, bridges, general orders, North Carolina, Thomas Lanier Clingman, Wilmington. Bookmark the permalink.